The UAW fight for recognition from corporations is a major part of the early chapters of Built in Detroit. 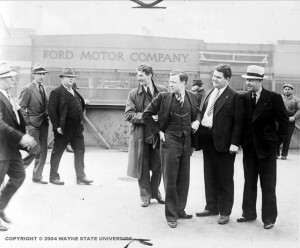 Here, at the 1937 “Battle of the Overpass,” are Walter Reuther and other top UAW leaders about to be attacked by Ford thugs. Similar battles took place throughout Detroit in the late 1930s. By WWII, the UAW was here to stay. Many in the union fight to rid the union of bad leaders and have clean, progressive leaders. 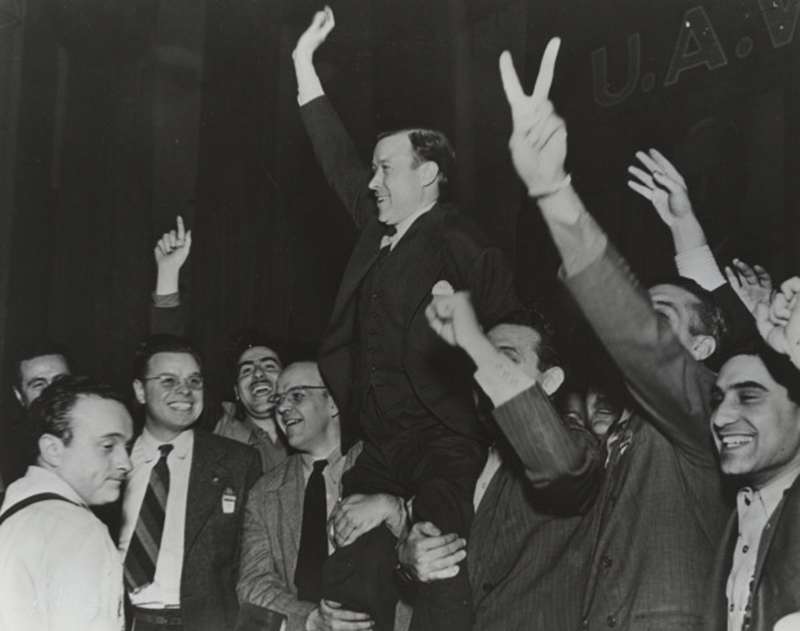 In 1946, after an eleven year struggle, Walter Reuther is elected president of the UAW. 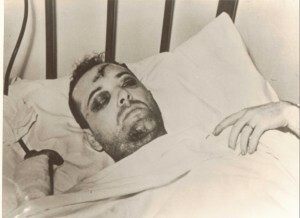 After Reuther’s election, Reuther supporter Ken Morris is nearly beaten to death by unknown assailants. 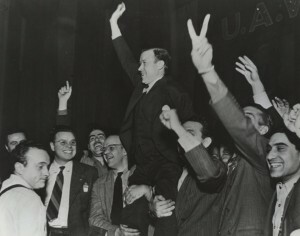 Morris recovers and has a stellar career in the UAW. In 1948, Walter Reuther is shot while standing in his kitchen. A last second move saves his life, but his arm was nearly blown off. 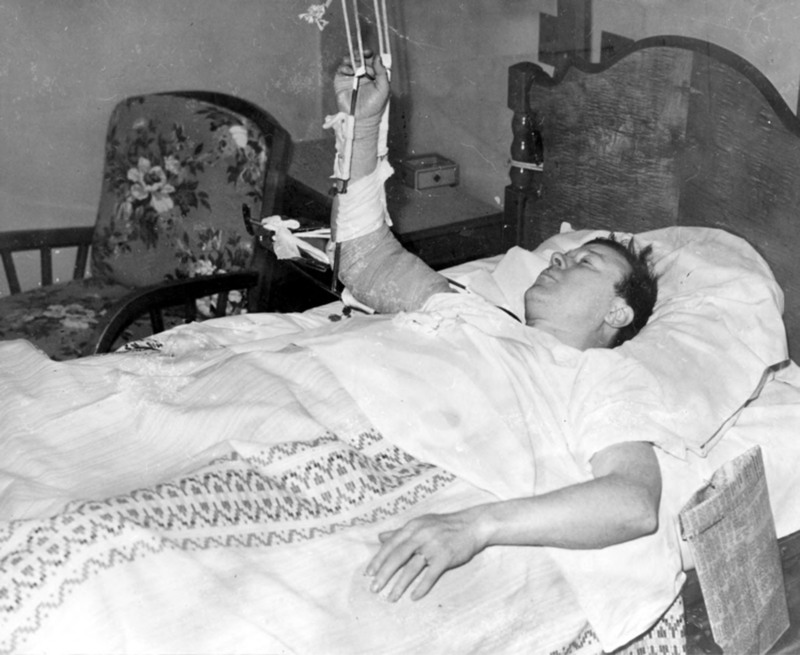 Reuther recovers to have a distinguished career. In 1999, Time Magazine ranks Reuther as one of the top 100 most influential Americans of the 20th Century. 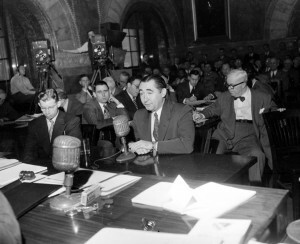 In 1951, Emil Mazey, the number 2 man in the UAW and mentor to Ken Morris, testifies at US Senate hearing on criminal collusions between legitimate business and the underworld against unions. 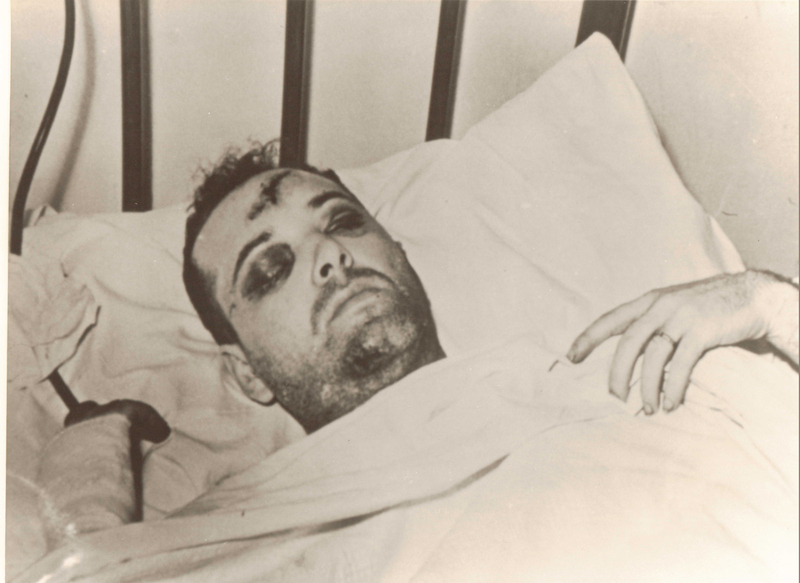 Many investigations occurred to find out who was responsible for these attacks. Labor leaders like Walter Reuther, Emil Mazey, and Ken Morris became active in the social fabric of their communities. 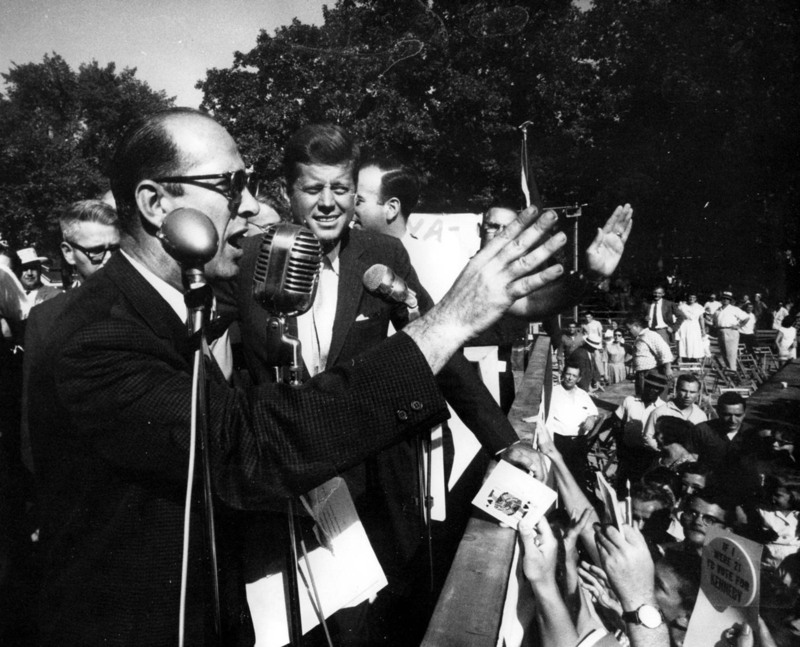 They fought for good public policy and elected officials who would support such policies. 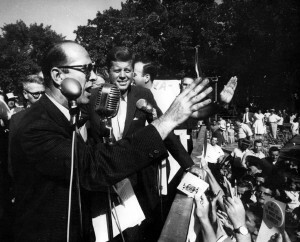 Here, Ken introduces presidential candidate John Kennedy at a 1960 campaign stop in Pontiac, Michigan.